In this article I like to give you a few itineraries to spend a daytrip from Tokyo watching beautiful views of Mount Fuji. Even though, climbing Mount Fuji is an amazing experience; you always hear people say: 'The only sad part is, you can not see the impressive Fujisan in its greatness while climbing it. 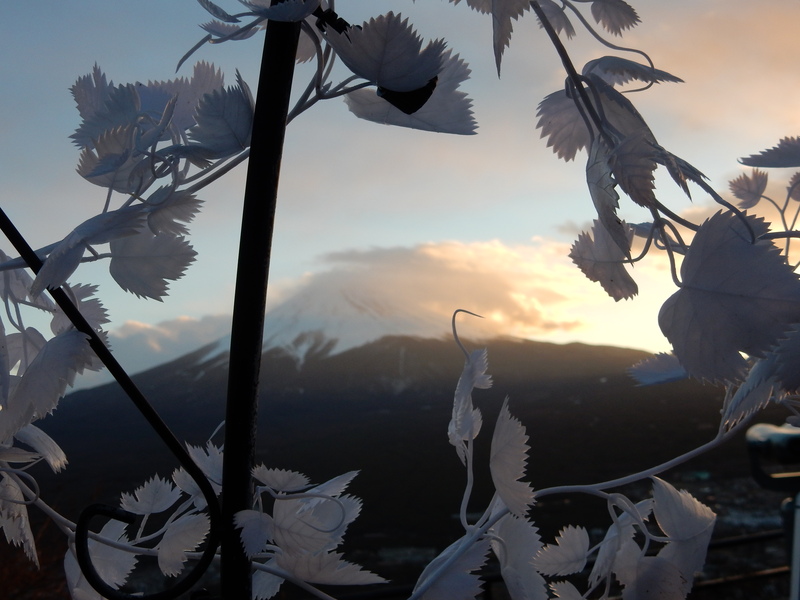 Therefore, I chose to find the best places to watch Mount Fuji from a distance to enjoy its beauty even more. 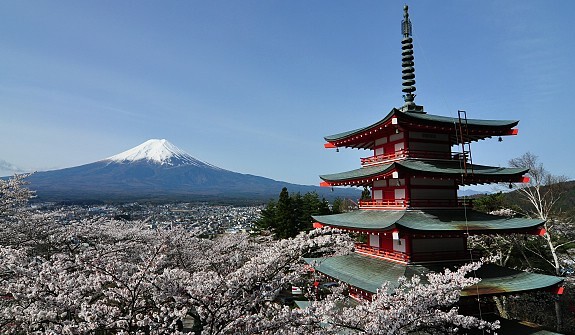 During this itinerary you will visit 4 spots to see Mount Fuji: Chureito Pagoda, at Oshino Hakkai, Lake Kawaguchiko and on top of Mount Tenjo. 4 sights of Fuji, each with their own unique twist! 2. At Shimo-Yoshida station take a close look around. You will be able to see Fujisan from the station, however this is not the sight we are aiming for. Although the Station might seem deserted, you are still in the right station. Turn your back 180 degrees towards the hillside and you will see a bright red pagoda sticking out of the hills. This is where we are heading for our first stop. Follow the road towards the foot of the Hill and start climbing. (+- 20-30 minute walk). There are clear signs on the road leading you towards the shrine. You will have a short climb towards the main shrine: Shiogama Shrine. 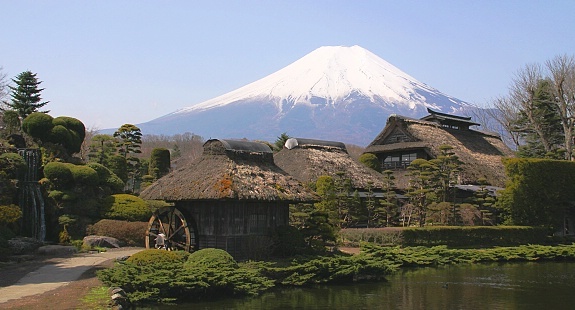 Here you can already enjoy a magnificent view of mt Fuji on clear days. However, the best view is on top of the stairs. Unfortunately there are a lot of stairs, but trust me, the view will be worth it. 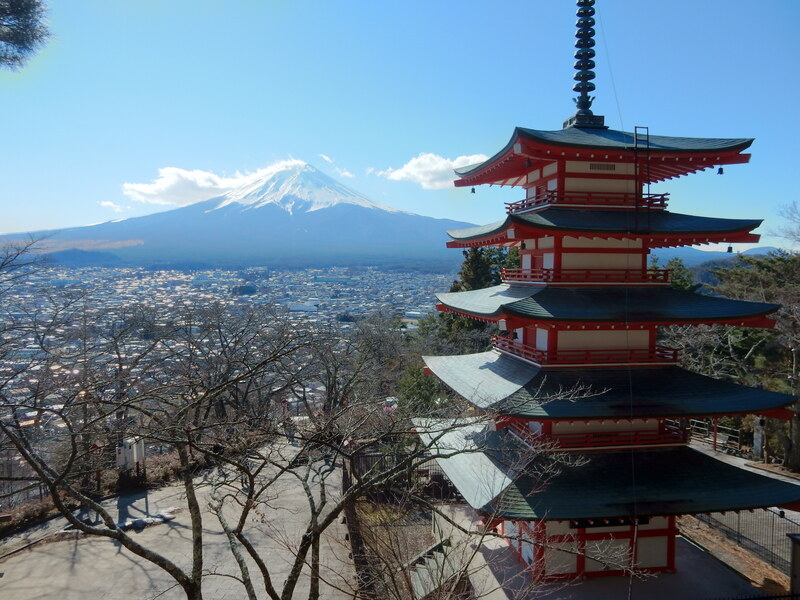 At the top you will find the Chureito Pagoda, one of the most famous Japanese photogenic spots. When people think about Japan, this is the picture they will have in mind. The pagoda is most beautiful in spring when the cherry blossoms are in full bloom, but it may get crowded. However, every other season is beautiful as well! Afterwards, return back to the train station for the next location. 3. 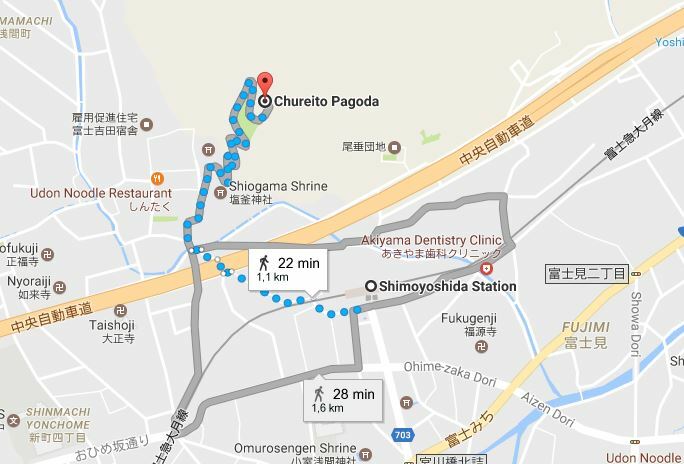 Take the Fujikyu Railway towards Kawaguchiko station - 10 minutes from Shimo-Yoshida station. (Or head towards Fujisan station). At the stations take a bus (roughly once per hour) to Oshino Hakkai. 5. Lake Kawaguchiko has a lot to offer. It offers amazing sights of Mount Fuji reflected in the enormous lake and offers several attractions around the lake itself. You can decide to take a boat ride on the lake itself, visit the museums closeby or do my personal favourite; Take the Kachi Kachi Ropeway. 6. The Kachi Kachi ropeway runs from 9:00-17:00 (roughly) and costs 800 yen for a roundtrip. This cablecar takes you up to the summit of Mount Tanjo for where you will again have an amazing view of Mount Fuji. At the summit you will find many cute sculptures of cute animals which will enjoy most kids. However, take a closer look at the sculptures when you are there, since the Kachi Kachi story isn't anything but cute. (A rabbit setting a racoon on fire). You can find the story online if you are interested. After you finish the ropeway, you will notice time has flown by. Sun might be starting to set and it is time to get dinner. At Kawaguchiko there are various places to eat for reasonable prices. However, you might feel a little more comfortable heading back to Tokyo first before having dinner. All is fine, I just hope you will have an amazing day, just like I did when I did the exact same itinerary in 1 day. It didn't feel rushed at all and I loved all the different angles I was able to see of Mount Fuji. Tokyo (1): Akihabara, the electric town.